ORLANDO, Fla. – April 3, 2019 – Florida Cup officials unveiled exciting news this morning about the 2020 Florida Cup at the WTM Latin America conference in São Paulo, Brazil. First, Brazilian Superstar Ivete Sangalo will return to headline the Florida Cup Fan Fest at Universal Orlando Resort, following her thrilling performance earlier this year that drew thousands of screaming and dancing fans to Universal Studios, and thousands more at the Florida Cup final match day at Orlando City Stadium. The Florida Cup Fan Fest is included with park admission, and fans who purchase Florida Cup travel packages through authorized travel agencies will get to enjoy the show from a specially designated viewing area. During the event, fans will be to enjoy all the parks have to offer, including The Wizarding World of Harry Potter. In addition, event officials confirmed the dates for the 2020 edition of the international celebration of music and football – the Florida Cup will take place January 13 – 20, 2020. Additional event information will be announced in the coming weeks and months, including venues, fan activities and most importantly, participating teams. 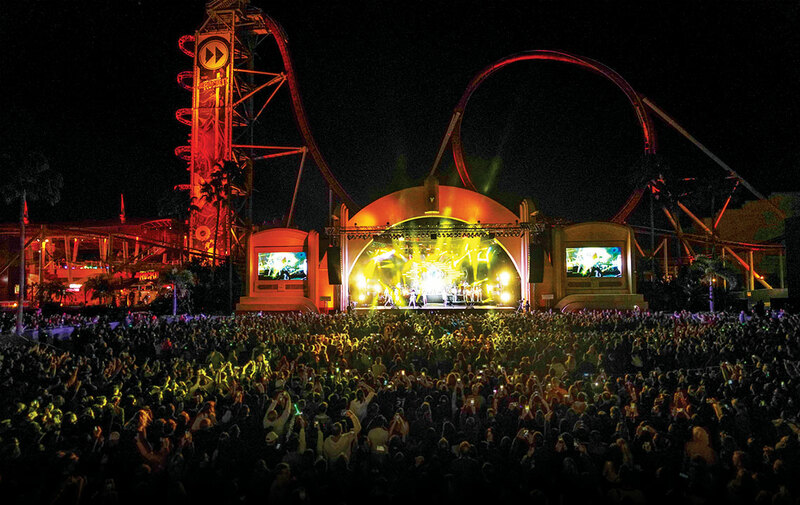 "It’s a huge satisfaction for us to host the big star Ivete Sangalo and be the stage of this concert that brings so much energy and gathers so many people around this platform of fun, sports and music”, said Marcos Barros, Vice President of Marketing and Sales for Latin America at Universal Orlando Resort. For more information on the Florida Cup, visitwww.floridacup.com, or follow us onFacebook,Twitter andInstagram. Universal Orlando’s three theme parks, Universal Studios Florida, Universal’s Islands of Adventure and Universal’s Volcano Bay, are home to some of the world’s most exciting and innovative theme park experiences – including The Wizarding World of Harry Potter-Hogsmeade and The Wizarding World of Harry Potter-Diagon Alley. Universal Orlando’s on-site hotels are destinations untothemselves and include Loews Portofino Bay Hotel, the Hard Rock Hotel, Loews Royal Pacific Resort, Loews Sapphire Falls Resort, Universal’s Cabana Bay Beach Resort, and Universal’s Aventura Hotel. Its entertainment complex, Universal CityWalk, offers dining and entertainment for every member of the family. Follow us in our blog, Facebook, Twitter, Instagram e YouTube. The Florida Cup is the largest international soccer celebration held annually in Florida. It is a global platform that combines sports and entertainment, with TV audience reaching more than 25 million in the past two editions. Globally recognized soccer clubs from Europe and Latin America convene in Central Florida for this premier tournament – a final tune-up before the start of their respective campaigns. For more information on the Florida Cup, visit www.floridacup.com, or follow us on Facebook,Twitter and Instagram.